Blue Blaze Brewing is proud to be the first tenant of the 100 year-old Savona Mill redevelopment project in Charlotte's West End. Take a stroll — or bike ride — along the Stewart Creek Greenway and pop in for a free tour and a pint or two of our fresh beers made from locally-sourced ingredients. We're less than a mile from Third Ward's Frasier Park. Want to support Blue Blaze Brewing and help spread the word? From stickers to tasting glasses to fleeces, we've got you covered in our taproom and online. We always accept resumes for other positions throughout the brewery. If you love our beer as much as we do, please reach out to us. Stay in the loop and we'll email you about special Blue Blaze events from time-to-time. We promise only to email you when we've got something good! If you would like to have an event or party at the brewery, please let us know! JOIN US FOR A BEER in our taproom! Yellow Blazer Kölsch, Amber Blaze Amber and Black Blaze Milk Stout. We brew unique interpretations of classic American, English, and German beers, using pesticide-free, locally-sourced ingredients, whenever available. We offer five flagship beers and a unique rotating selection of specialty and seasonal beers. 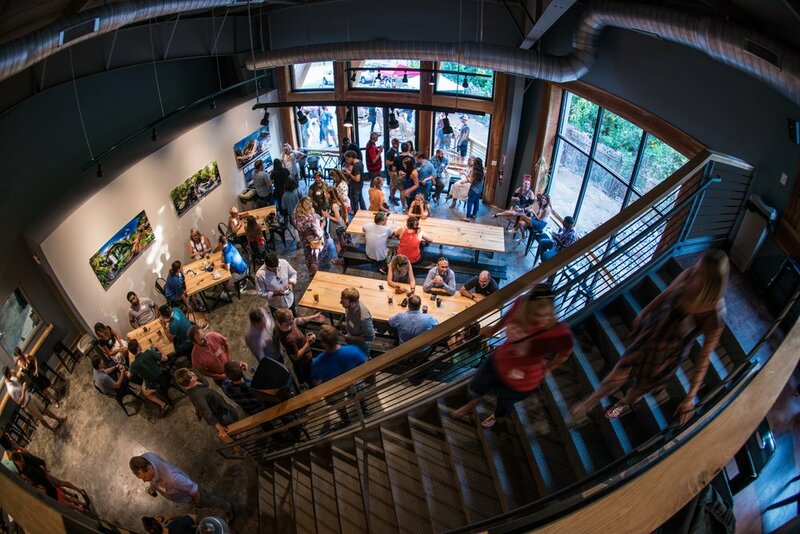 Stop by our taproom and you will even find several options from some of our other favorite Charlotte craft breweries. Check out our beer locator to find out which of your favorite restaurants and bars are pouring our beers! We have taken two very different classic German Altbier styles and crafted them into one refreshing, crisp, lighter-bodied beer that still packs in the flavor. The deep copper maltiness contrasts with the bright white head and spicy finish. This is our take on the classic American Amber. Amber Blaze will remind you of the first craft beer you ever fell in love with. Turned up to 11. We push the classic style with a biscuit-forward maltiness and generous hop flavor and aroma. We love brewing complex beers that blend two classic styles, transcending both to form something unique and delicious. In this case, we've introduced Porter and IPA, resulting in a beautiful balance of citrus hop flavors and tropical aromas, packed tightly into a medium‐body dark ale with a roasty finish. Our milk stout is a classic English mainstay. Black Blaze is a medium-bodied, creamy, dark beer. It has a slightly sweetened roastiness with hints of espresso & chocolate. This is a dark beer that you can drink all day long. In fact, I'm drinking one right now. This classic German golden ale is crisp and satisfying. The mild, sweet malt is perfectly balanced with a subdued spicy flavor note from German hops. Paint stripes — called blazes — of different colors are used on the Appalachian Trail to serve as waypoints and indicate points of interest. Side trails that lead to water, relaxation and camaraderie are identified by a blue blaze. We named our brewery after the Blue Blaze as a source of inspiration to create refreshing and original beer while honoring the communal spirit of the Appalachian Trail. Blue Blaze Brewing is all about our people. Whether they make the beer, sell the beer, deliver the beer, ‘office’ the beer, or pour the beer, every person here is a critical part of our community & culture. They are what make the hard parts of what we do day-to-day rock. Without these folks, there can not be a Blue Blaze Brewing. Swing by sometime; we’d love for you to meet them. Steve Turner is our brewer, and his career spans almost two decades. He is a Master Brewers Association of Americas member, a 5-time GABF & World Beer Cup medal winner, and was previously a Colorado State University Fermentation Science & Technology Instructor just before joining Blue Blaze. He also moved all the way from Ft. Collins, Colorado just to join the Blue Blaze family! Did you know that you can outfit your home bar with genuine Blue Blaze tap handles? They're available in our merchandise store, along with hats, t-shirts, and glassware. You can also follow us on Facebook and Untappd.